On the 25th Day of December, 2009 I created this blog on my name. So here goes my first post which talks about Christmas. 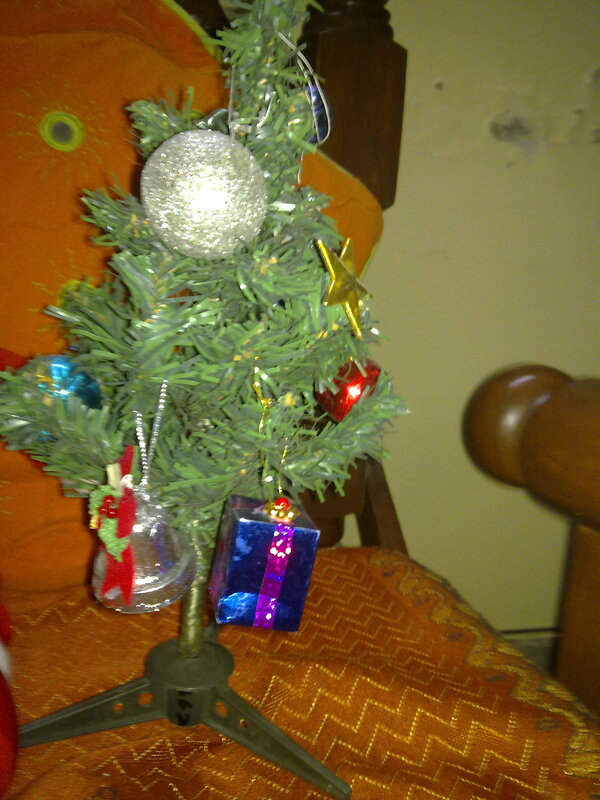 Well, this Christmas I decorated a Christmas tree at my home. I decorated the tree with Christmas ornaments and it felt great having done that. 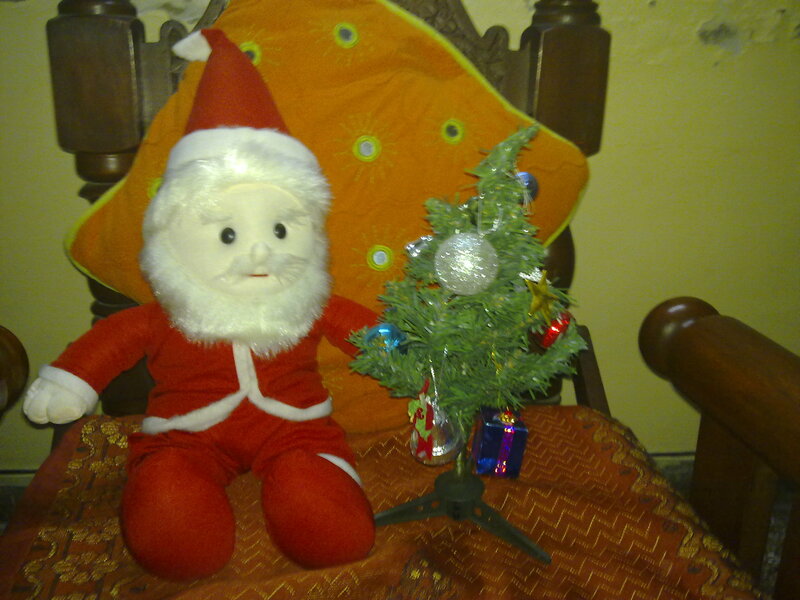 Now I also had a little Santa Claus stuff toy sitting besides the Christmas tree. Posted on December 24, 2009 by anushkasuri	• This entry was posted in Christmas and tagged Christmas. Bookmark the permalink. nice decoration Anushka…i remember ur stuff toy yaloo…where is he? ?